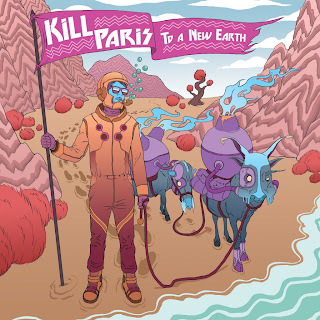 Kill Paris is the moniker for producer Corey Baker, who just released a new EP called To A New Earth via OSLWA. Creating some serious bangers filled with electro/downtemp/dubstep elements, he is quickly becoming a favorite in this new electronic movement in the States. As he continues to create music, he keeps developing his sound as to not have a typical or generic style in the world of EDM. I'm digging this more than I thought I would. Stream below.